As we all anguish over Newtown’s murdered children, parents understandably worry about their own children’s safety. Realistically and statistically, there is a miniscule chance of your child being assaulted by a deranged shooter. But how often do we worry about protecting our children from the violence of media? and they may be more likely to behave in aggressive or hurtful ways toward others. 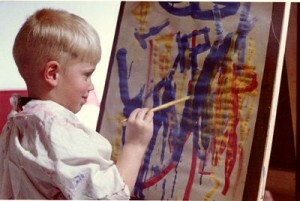 While researchers, analysts and media producers continue to split hairs over whether the violence causes these effects or merely elicits them in children who are already predisposed toward these traits due to a variety of other influences, I would propose that this is an academic distinction without much relevance in the trenches for real families. Do we really want to yield up our own children as research subjects in this grand experiment? We might reason that as long as we limit media to non-violent kinds such as the children’s fare on countless cable channels, we’re okay. But there are degrees of violence, and the subtlety with which covert acts of aggression take place in most “children’s programming” is staggering upon close scrutiny. So-called family entertainment, including some even bearing the all-hallowed Disney brand, prominently features humor steeped in stealthy deprecation and sarcasm. A quick dictionary search reveals sarcasm to feature mockery, ridicule or derision; indeed, the very term comes from a Greek word meaning “to tear flesh.” Sarcasm is poison to the soul of a young child, who cleaves to goodness, kindness and wonder. But even for the older child of school age, witnessing the disrespectful behavior, stereotyping, and sarcastic attitudes that pervade media entertainment is like turning a fire hose on the brilliantly shining flames of the inner virtues you’re seeking to tend. Does this mean that an occasional episode of Sesame Street will undermine a child’s trajectory toward unfolding into a person of peaceful innovation? Of course not — especially if she shares in that episode with one of her close adults. But because of that pesky trick it plays on the pleasure center of the brain, television is a slippery seductress: one episode a week so easily and insidiously becomes two, then a few, and then a daily dose, and so on. Power struggles ensue. It’s not a path I recommend starting down; it’s like tossing a handful of landmines onto your own road ahead. Then What’s A Parent To DO?? Ever a pragmatist, and wanting to keep an eye on what works while still supporting a child’s inner connectedness and imagination, I sometimes suggest to parents in my coaching practice that they consider introducing their young children to the joys of audio stories and music. If you begin early with the notion that these are a special treat, you will have a win-win resource for your family. Audio stories (such as the treasures my kids used to listen to from Rabbit Ears Radio) or a child’s favorite CD of songs can hold a child rapt for the twenty or thirty minutes of solitude you might crave, while still engaging her active imagination as she sings or dances along, or envisions the scenes in the tales. Maybe he will even draw them or act them out with dolls or wooden figures. Audios are also a boon for long car trips. Wondering about the DVD screens currently embedded in the backs of car seats? I strongly advise against them, aside from very occasionally during very long trips. Here’s the thing: car rides come with many naturally occurring sensory stimuli as standard equipment (everything passing by outside the windows, not to mention the conversation inside). 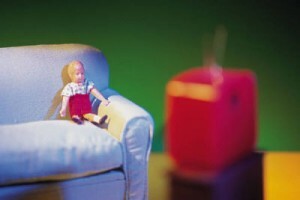 If we distract and essentially hypnotize a child away from possible boredom (the dirtiest word in our current parenting culture) by plugging her into video entertainment, we deprive her of a regularly-occurring, ideal opportunity to practice the important developmental task of learning to soothe and regulate her own fluctuating internal states of attention, interest, distress, etc. This could not be more essential to her growing Gen Peace capacities! But remember the slippery pleasure center slope of any kind of video entertainment. Also, the more we offer children appealing pre-fab scenarios, even the most seemingly benign or enchanting, we uninvite their own unique creativity. Aside from the violence aspect — within your child’s own neurobiology as well as the statistically greater possibility of him expressing it outwardly in the world — this is another compelling incentive to eliminate or steeply curb your child’s exposure to popular media: the preservation of his uniqueness. Once a child is exposed to an idea, an image, a melody…via the media…you can’t un-ring that bell. In the life of our own family, I came to regard media as a chorus of clanging bells that could so easily eclipse our children’s own unique ideas, images, and melodies, which were organically percolating up over time. The diminishment of any of these, along with the wonder that inspires them, is an incalculable loss when we’re seeking to foster a child’s own inner forces of creativity, joy and dynamic engagement with life’s potent questions. This entry was posted on Thursday, December 20th, 2012 at 11:28 pm	and is filed under Parenting for Peace. You can follow any responses to this entry through the RSS 2.0 feed. You can leave a response, or trackback from your own site.